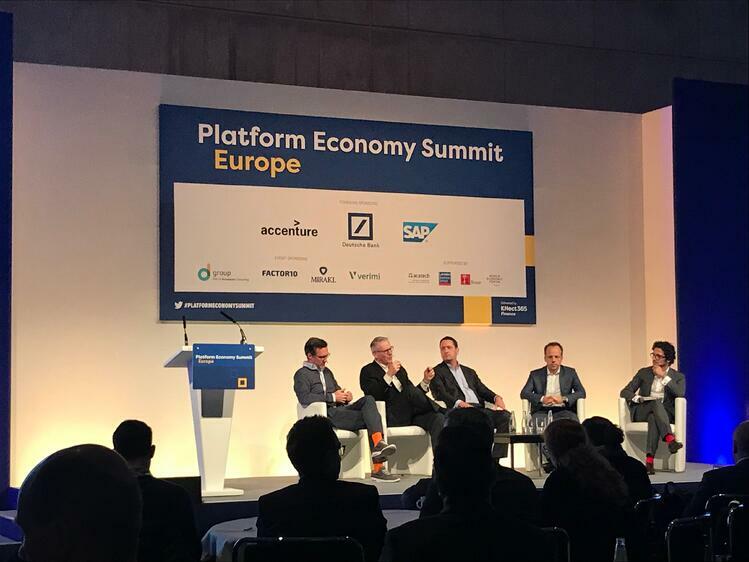 Last week, Mirakl participated in the inaugural Platform Economy Summit Europe—a gathering of the most influential platform business innovators to catalyze this revolutionary business model across the continent. While companies in the US and China have already adopted a platform mindset, their European counterparts are lacking are lagging. Today, seven of the world’s ten most valuable companies are platform businesses; yet not one of them is European. 60% of the ‘Unicorn’ billion-dollar start-ups are platform businesses, and only a small proportion were born in Europe. Collectively, platform economies are raising the stakes against large global players, many of which have already transitioned into and succeeded with platform models. I raised this insight with Terry von Bibra of Alibaba, who observed that platforms bring marketing value to scale—they perform better when targeting customers, identifying their needs, communicating with them, and offering the right product or service. 2. Marketplaces are accessible to traditional companies because it’s what their customers want. Markus Pertlwieser of Deutsche Bank observed that banks’ transitions to platforms are a result of customers’ desire for a single access point to all of their financial services. Since the financial crisis, banks must focus on efficiency, and platforms will help them accomplish this. “The key to drive such a change in a big organization is that mindset,” he says. 3. Accelerating the platform revolution starts with investments in partnerships. Alibaba’s culture involves working with partners, with whom they’ve already invested a great deal, to enable them instead of having a traditionally closed business ecosystem. Deutsche Banks’ approach is to open their APIs to offer services beyond credit and deposit such as help with income taxes and adjacent, partner-provided services on which they take a commission. ‘How can I learn to work with third-party companies?’ is the right question to ask when considering a platform, says Geoff Parker, professor and author of Platform Revolution: How Networked Markets Are Transforming the Economy. 4. Trust in third parties is foundational to platform success. The opportunity markets, especially those in which Amazon isn’t playing, require more than scalability—they require expertise and third parties who can provide it. In Life Sciences, for example, sellers may require ISO or other types of certifications, so that governance must be a key part of the platform. Third parties must be reliable in servicing customers on any platform, so trustworthiness should be a qualifier in any environment. 5. Maintaining your platform ecosystems revolves around value. Platforms need to provide enough value to both customers and sellers, such as incentives, insurance, and even certifications. Buyers and sellers leave existing environments for marketplaces for these reasons, and you can maintain new relationships with value. Simple, built-in solutions like supporting more robust presentations of sellers’ products than those in other environments also contribute to success. For years, Mirakl has championed a platform-first approach, on the transformative benefits of this new model. We were happy to share our perspective with the Summit audience during our on-stage debate, “Platform business models: What are they, how do they work, and why are they so important?” which I moderated. I was able to partner with some of the greatest minds in platform, marketplace, and digital economies, including leaders and executives from Dartmouth & MIT, Deutsche Bank, and world-leading platform marketplace retailer, Alibaba Group. And it's only now that traditional manufacturers and distributors are waking up to the power of this powerful platform play. 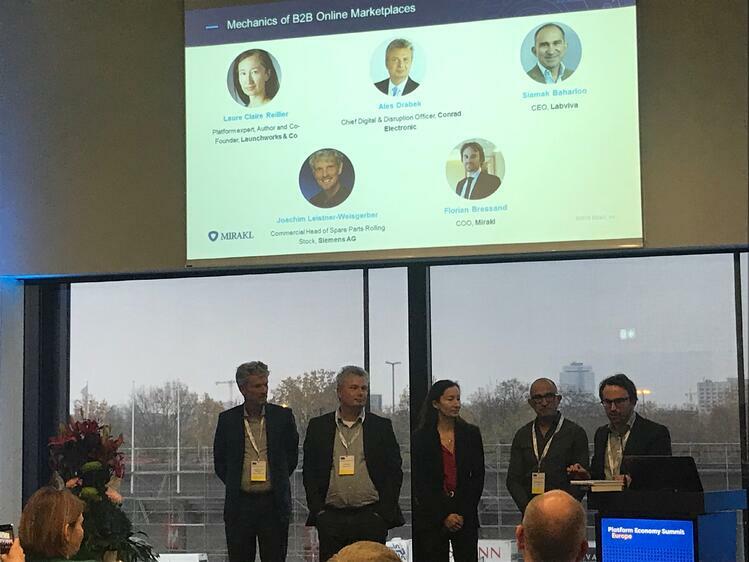 In this panel session we explored the new approaches that are working best in B2B commerce and what learnings can be used from the B2C environment? Uncovering how traditional players and start-ups are competing with Amazon and differentiating from the competition. We heard how Siemens Mobility are transforming the railway industry, providing a one-stop shop for all equipment needs. 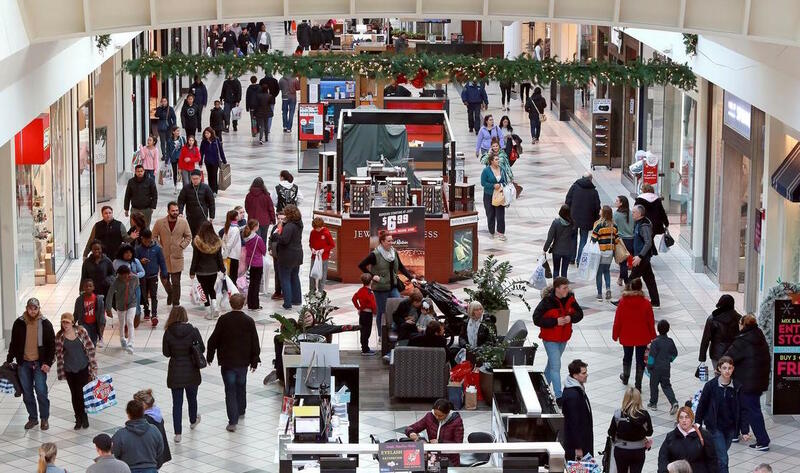 For Conrad, two years ago they saw that traditional retail is dying, and they needed to transform their offering in order to find new ways to engage with their customers. Their answer was the build a highly innovative B2B Marketplace Platform. And finally for Labviva, a new digital marketplace for life sciences, who launched 6 months ago driven by Artificial Intelligence and Deep Learning to quickly index products from suppliers. 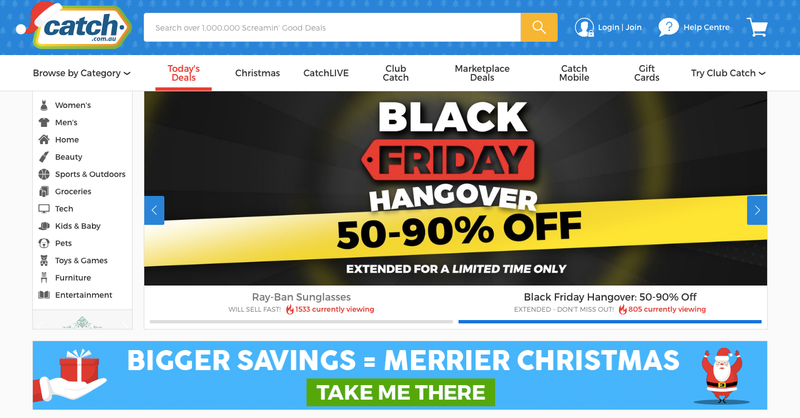 They've built an index of 1 million SKUs. These SKUs are enriched with deep, high quality product information to ensure a frictionless buying experience for their customers. When we founded Mirakl we aspired to establish marketplaces as a foundation for retailers, manufacturers, and distributors as they evolve to become platform operators. But launching a marketplace is only the beginning. As product and service economies intersect, driven by advancements in technology and data-driven insights, we envision the businesses that will thrive in this new commerce climate will be those on a journey towards a deeper transformation of both B2B and B2C models. This is the start of a broader ecosystem—a new opportunity for companies to become a more meaningful part of their customers’ lives.